BankNewport has hired two new vice presidents/business development officers and a vice president/branch sales manager. Steven Carneiro, of West Warwick will be responsible for business development, commercial loan production, cross-sales origination and cross-team collaboration in the Coventry, Cranston, East Greenwich, North Kingstown, Warwick and greater Kent County market. He comes to BankNewport from the People’s Credit Union, where he was a business and residential lending manager. 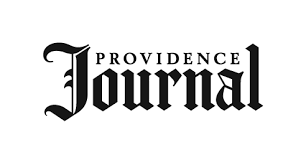 Antonio DeSimone, Johnston, will be responsible for business development, commercial loan production, cross sales origination and cross team collaboration in the Providence, Pawtucket and northern Rhode Island market. He comes to BankNewport from Citizens Bank where he was a business banking relationship manager in the greater Providence market. Ronald P. Greenwood, of Cranston, has been named vice president and branch sales manager of the bank’s Cranston office at 4000 Chapel View. He comes to BankNewport from Webster Bank, where he was vice president and banking center manager in Cranston. Kirsten Bagaglia, of Johnston, has been hired as senior financial consultant. Prior to joining BankRI, she was a premier adviser with Citizens Bank. The EPI board elected a new chair and added two board members. Carolyn Mark, of East Greenwich, a longtime policy advocate and current chairwoman of the East Greenwich School Committee, has been elected chair of the institute’s board of directors. Jill Beckwith, of North Dartmouth, Massachusetts, the director of grants, research, and valuation for the Martin Richard Institute for Social Justice at Bridgewater State University. Paola Fernandez, of Cranston, the new vice president of community development for Centreville Bank. Timothy K. Baldwin, of Barrington, has been named a partner at the law firm. Baldwin joined the firm in 2016 with years of experience in private practice and as a law clerk. His practice includes appellate litigation, labor and employment, business litigation and education law. He also blogs about happenings in Rhode Island state and federal courts at RICourtBlog.com.